Firm: Dunwody White & Landon, P.A. Neil R. Chrystal is a founding shareholder of Dunwody White & Landon, P.A. Mr. Chrystal attended Case Western Reserve University in Cleveland where he received his J.D., and Baldwin-Wallace College in Berea where he received his undergraduate degree in business administration. He attends numerous continuing legal education seminars annually. Mr. Chrystal is admitted to the Florida, Ohio and Federal Bar, U.S. Tax Court. Mr. Chrystal is a Fellow of the American College of Trust and Estate Counsel, and is also a member of many bar associations such as the American Bar Association; Probate and Trust Law Section, Dade County Bar Association; Probate/Guardianship Committee, The Florida Bar: Real Property and Probate Trust Law Section; Probate Law Committee, Attorney/Trust Officer Liaison Committee and the Trust Law Committee. 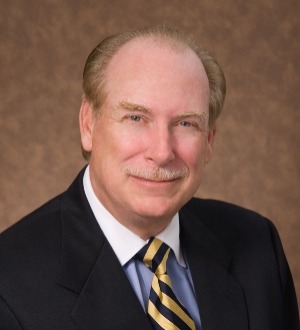 He is currently a member of numerous estate planning organizations such as; Estate Planning Council of Greater Miami (former Director), South Dade Estate Planning Council where he served as past director and past president, Miami Beach Estate Planning Council, East Coast Estate Planning Council, Miami Tax Institute, and Medina Estate Planning Council, where he was its first president and a Board Member. Mr. Chrystal is Board Certified by the Florida Bar in Wills, Trusts and Estates and has over thirty years of experience in estate planning, estate, trust and guardian administration, probate litigation and business planning. He advises clients on a range of matters, including business and succession planning, family office structures and issues, private trust companies, private and charitable foundations, contested tax matters and wealth protection. Mr. Chrystal has been acknowledged by “Best Lawyers in America, “Super Lawyers” in Florida, and listed in the Wall Street Journal’s “Top Attorneys in Florida.” In addition to being well recognized by his peers, he has been AV Preeminent rated by Martindale Hubbell. Mr. Chrystal currently serves as an advisor for the Miami Foundation, the Baptist Hospital Foundation and the University of Miami School of Law Graduate Program in Estate Planning. He is also a frequent lecturer and panelist and has participated in numerous seminars and professional meetings throughout Florida and nationwide. His past community involvement includes being a former member of Westminster School Foundation Board, Westminster School Board, Miami Children’s Hospital Foundation, Rocky Knoll Homes Retirement Village, and Ohio Presbyterian Homes. An excellent lecturer and speaker, Mr. Chrystal has spoken recently at a number of seminars including the Mariners Hospital Foundation “Planned Giving Seminar,” Miami Beach Estate Planning Council “Sale to Defective Grantor Trusts,” Rotary Club of Miami “Estate Planning in the New World.” He has been a panelist and break-out session leader at the Attorney/Trust Officer Liaison Conference.